Happy graduation to Dr. Sarah Cappeliez! Dr. Sarah Cappeliez and her mother at last month’s UofT graduation ceremony. Congrats to Dr. Sarah Cappeliez, who graduated from UofT last month! I had the immense pleasure of supervising Sarah’s dissertation, entitled “More than just a Fine Drink: Processes of Cultural Translation, Taste Formation and Idealized Consumption in the Wine World.” Her research investigates winemaking practices and wine culture that are driven by the concept of “terroir,” which describes the unique taste arising from a combination of biophysical elements and agrarian practices in a particular place. Drawing on fieldwork in French and Canadian regional contexts, she examines the cultural sociology of how ideas, tastes and consumption practices travel and are adopted in new locations. While we miss her brilliant intellect and down-to-earth warmth at UofT, we’re delighted that Sarah recently began a position as an Assistant Professor at Concordia University in Montréal. She is currently teaching classes in media and culture, including an introductory course on Sociology Through Film. Check out part of Sarah’s terroir research in this excellent recent Poetics article. This entry was posted in Uncategorized and tagged Concordia, Cultural Sociology, French Wine, Ontario Wine, Poetics, Sarah Cappeliez, Terroir, Wine on December 4, 2018 by jjohnston72. An excellent new journal article in Poetics explores how the cultural idea of terroir gets translated between wine regions across the globe. Sarah Cappeliez, one of the PhD candidates I supervise, draws on interviews and website analysis to explore the discourse of terroir in French and Canadian regional contexts. Terroir is a complex French cultural term used to identify and classify artisanal foods and drinks in relation to a specific place. Notoriously “untranslatable”, terroir has nevertheless travelled well beyond the borders of France and Europe more broadly. 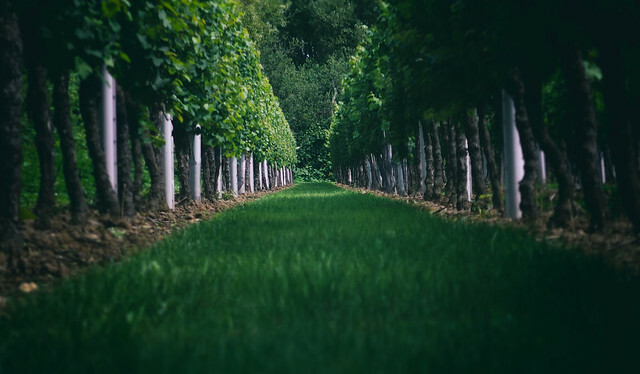 This paper illuminates the parts of terroir that translate culturally by using a qualitative comparative case study of two contrasting wine regions, and examines how terroir manifests in similar and different ways when it is taken up in a French and a Canadian regional cultural context. Through the analysis of terroir discourse in 30 interviews and 32 websites, this study further clarifies the factors that drive consistency and change in the translation of a cultural idea like terroir. Moving beyond the idea that “terroir is adaptable”, this paper shows how wine actors articulate terroir’s normative principles as constant, but describe terroir’s natural and human practices in locally contingent ways, nuancing our understanding of stability and change in how culture unfolds within a globalized cultural context. This entry was posted in Uncategorized and tagged Châteauneuf-du-Pape, French Wine, Niagara, Niagara Wine, Ontario Wine, Poetics, Sarah Cappeliez, Terroir, Wine on December 7, 2017 by jjohnston72.